Growing public attention to global economic and environmental instability and collapse have brought new urgency to a classic activity of anthropology: looking for alternative economic and environmental models in other ways of life. This dissertation is a case study of the complex and sometimes contradictory ways in which New Mexico’s acequias (communally-managed irrigation ditches) are produced, experienced, and contested as an alternative form of living, creating community, and relating ethically to the environment. Drawing on over six years of participant observation and in-depth interviews with Nuevomexicano (Spanish- and Mexican-descendant), indigenous, and non-indigenous acequia users and organizers in North-Central New Mexico and the South Valley of Albuquerque, I analyze social and political projects involving acequias, including resistance to a proposed housing development in Albuquerque’s South Valley, the formation of emergent publics in opposition to state logics of water governance, the coalescence of mutual support and resilience in human and nonhuman relationships along the acequia, and the efforts of women activists to increase Los Alamos National Laboratory’s accountability to indigenous women’s health. 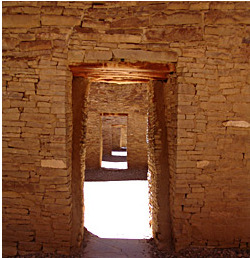 I argue that acequieros (acequia users and activists) have often been represented as melancholy and illogical citizens and are subject to technologies of governance that I call chronotopic marginalization, which de-materialize and de-politicize their contemporary concerns and displace them in time and space from decision-making processes. Second, I suggest that acequieros are engaged in the formation of fluid publics, emergent social and political spaces shaped by the materiality of the acequia itself and the human and environmental relationships that it structures. Third, I illuminate the nature of these relationships using the concept of mutualismo, meaning mutual dependence and protection. Finally, I suggest that while the political projects of fluid publics, shaped by relationships of mutualismo, are borne of the place- and race-specific experiences of New Mexico’s acequieros, they also represent a unique, though precarious, effort to contest injuries of social isolation and abandonment by the state and the institutions of capitalism both in New Mexico and elsewhere.